This chapter reports on the evaluation of Clever Health, an Australian e-health project. The evaluation took place from mid-2007 through 2010 and consisted of both qualitative and quantitative approaches to capture awareness, expectations, and use of Clever Health components—which included video-conferencing for patient care, professional development, and peer support—and to compare initial perceptions and expectations to perceived changes in awareness and uptake of Clever Health components. The study found that while use of components increased at a satisfactory pace, health services and professionals struggled with change management issues, which, in turn, impacted changing work practices. Findings suggest that it is imperative to address and integrate the human factors of e-health delivery in the rollout of future e-health programs. The study proposes a robust evaluation framework for future telemedicine projects that uses a patient-centred unit of analysis and examines the costs and benefits that accrue for different stakeholders. In late 2006, the Grampians Rural Health Alliance (GRHA) led a consortium of agencies in applying for a A$3.385 million grant under the Clever Networks program managed by the Australian Government to use technologies such as Video-Conferencing (VC) to provide more effective patient treatment, better peer support for health professionals in the GHRA network and the continued development of high quality health services in the region. Peer Support: When people or groups exchange or provide (healthcare) knowledge, experience, emotional, social, or practical help to one other. Perceived Behavioural Control: A person’s perception of the freedom or ability to perform a given task. Change Management: A structured approach to help individuals, groups, or organisations transition from current work practices to a desired future work practices. Video-Conferencing: Using interactive video systems for live interaction with people in different locations. Professional Development: The skills and knowledge needed or attained for personal development and career advancement. Social Norm: The rules that a group uses for appropriate and inappropriate values, beliefs, attitudes, and behaviours. 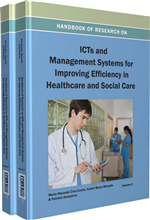 EHealth: The use of ICT and Web-based technologies to remotely access, deliver, manage or enhance health services. Interchangeable with telemedicine. Telemedicine: The use of ICT and Web-based technologies to remotely access, deliver, manage, or enhance health services. Interchangeable with eHealth. eLearning: Online education using Web-based technology; also known as online learning or online training.